Brian Burchfield, president of Burchfield Insurance Group in Concord, places a strong emphasis on relationship building to retain clients and grow business. He found a bank that does the same. Burchfield Insurance Group is a niche player in the employee benefits arena. Over the course of his 20 years in business, Mr. Burchfield has had to adapt to the evolving needs of the marketplace in order to stay ahead and compete with the larger firms. Some things have remained consistent though: build those relationships, maintain a large book of business, strive to be a top producer, and stay on the cutting edge of technology. One other thing has remained consistent too – using Uwharrie Bank for all of his banking needs. Almost since the inception of his business, Mr. Burchfield has maintained a strong relationship with Uwharrie Bank for both his personal and business banking. He appreciates all that Uwharrie Bank has to offer and insists that, unlike some of the area’s larger banks, Uwharrie Bank has always been easier to work with and receptive to coming up with a solution that works for all parties involved. 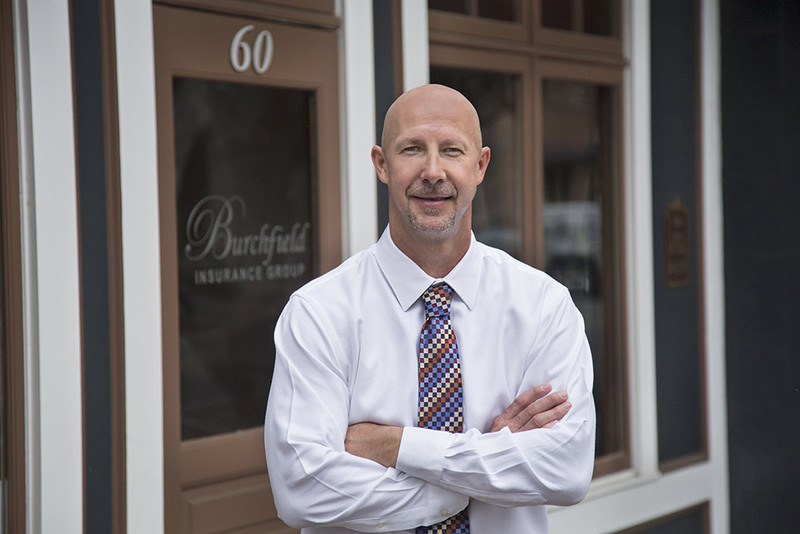 As the owner of a community based insurance group, Mr. Burchfield knows firsthand that he must provide the best in products and service in order to compete with the larger competitors that benefit from national brand recognition. Uwharrie Bank does the same. Strengthening relationships. Making a difference in people’s lives. Doing the right thing. These values make for better business and a community that soars.